We might have had a teeny-weeny snow at the house this weekend – meaning it wasn’t totally over our ears except in the drifts. 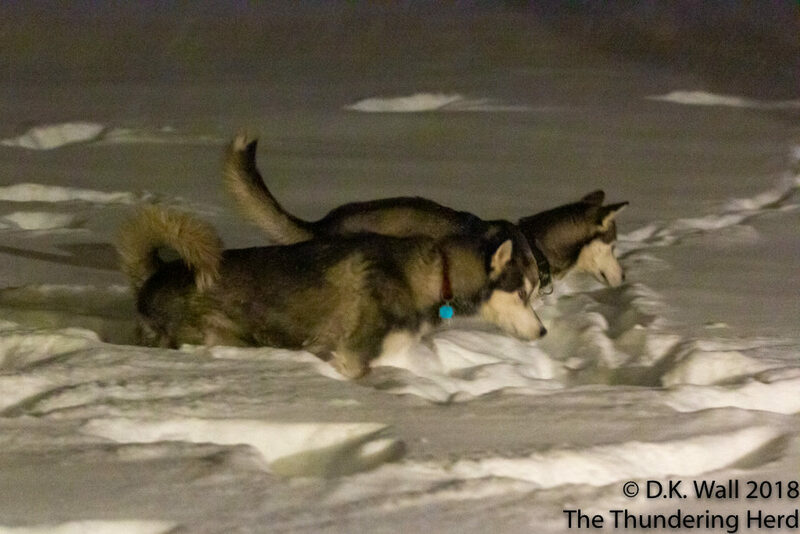 Typhoon and Roscoe during pre-dawn snow inspection. We want you to look carefully at the photo above. Notice the three divots in the snow along the top of the photo. 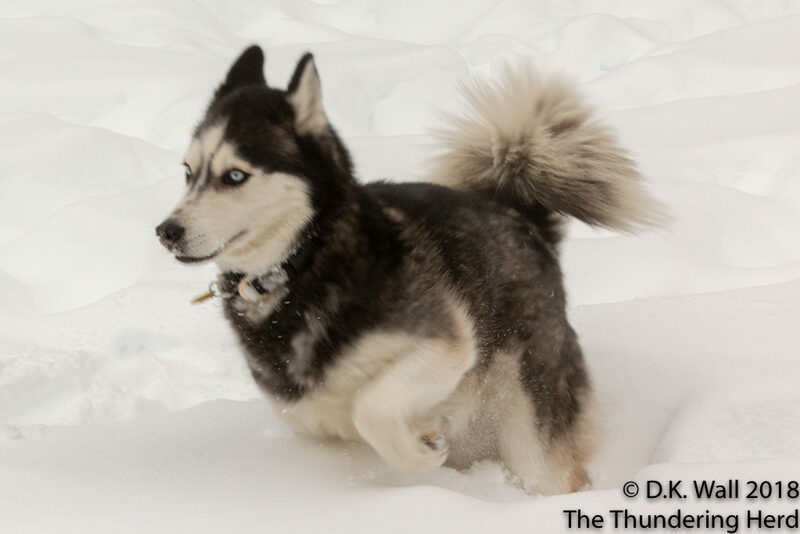 What kind of creature can possibly bounce that far in foot-and-a-half deep snow? When we got up yesterday morning, Landon was the first dog outside. Hu-Dad had to shovel a path from the deck to the yard because the snow had drifted so deep. Landon took a running leap off of the deck and…disappeared. 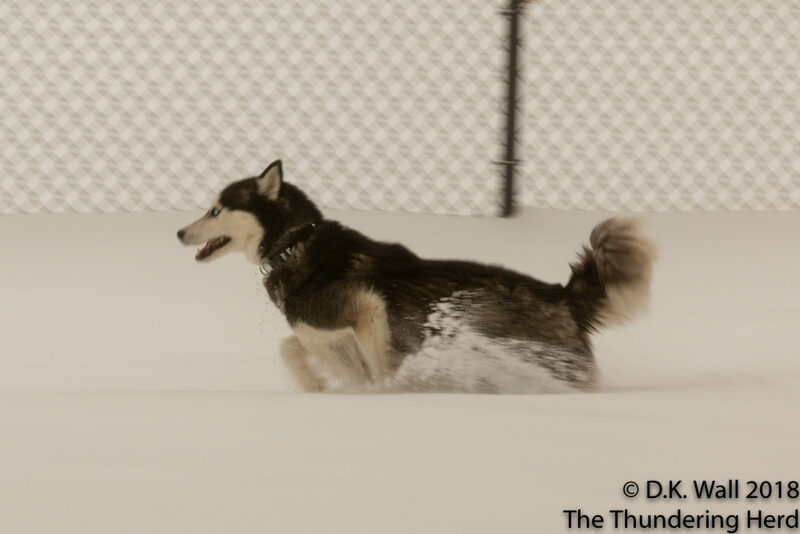 He landed in a drift so deep that not even the tips of his ears were showing. There was a delay of a few seconds until we had a Boom Boom Eruption – he leapt high in the air and kangarooed around the yard. Those divots you see in the first picture are his creation from that first bouncing around the yard before sunrise. 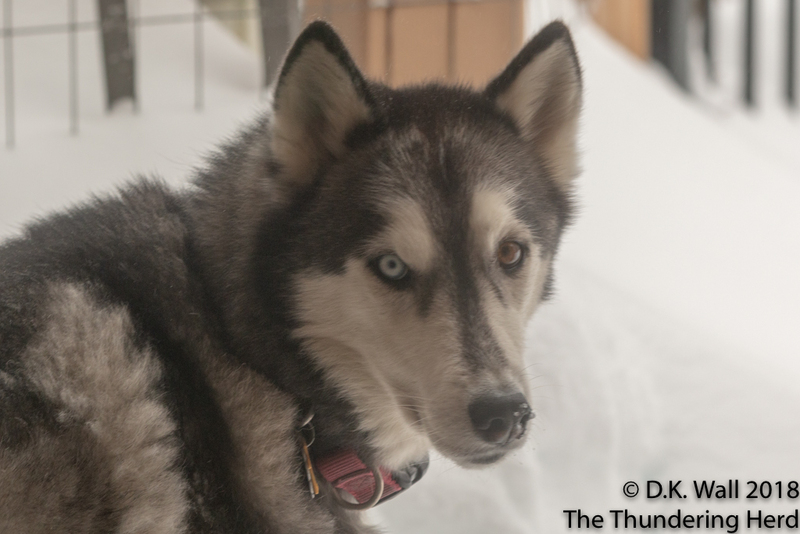 Everyone got outside and played in the snow. But no one had as much fun as the Boom. And you thought I was crazy. Another one of our classic videos to explain the personalities of all of the dogs. How do we each react to bowls of food placed in front of us? 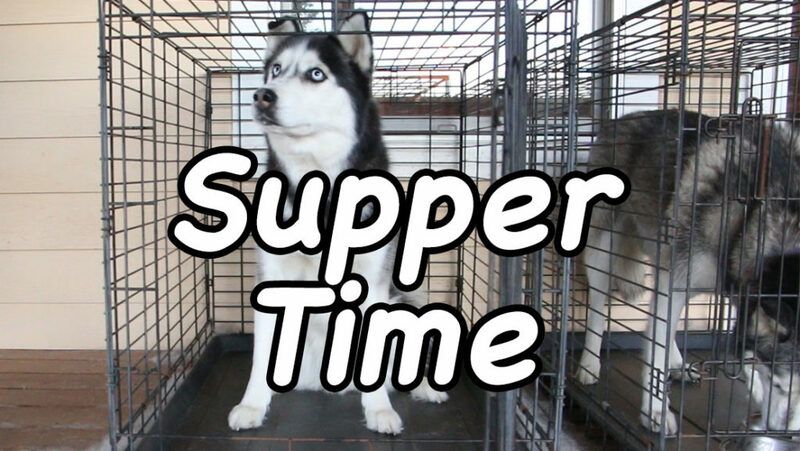 Find out in Supper Time. It looks like FUN was had by the herd BUT Boom Boom-you outdid yourself! I think you are part kangaroo! Once again-the post started my day with a smile and a laugh! What a blast the snow is, huh Boom Boom?!? Landon is pretty springy. I’ve noticed that he does fly when he gets going. It’s fun to watch him. I just saw the ski area on the weather channel a few minutes ago. You’re sure making national news out there. I love to LOL with my morning coffee! Actually we like everything about snow except that it is cold. Our last snow was in 1960.